1.) Overextended lumbar spine from an immobile thoracic spine (notice the ribs poking out). 2.) Adequate thoracic extension, allowing good stacking of neck and keeps the ribs inline with the hips. Beginning and end positions: Rotate as far as you can, and focus on opening the chest as much as possible. Work both sides for 2-3 sets of 10-15 reps. Hold these positions for 30 seconds or more. 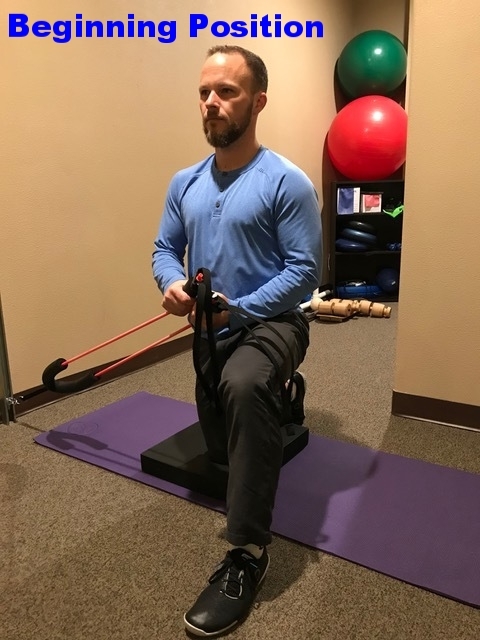 Take care to brace your core so as to prevent the flaring of the ribs (illustrated in the "poor postural control" image in the Check Yourself section of this blog post). Use a stretchy band attached to a stationary anchor point, at shoulder height, at your side. Position yourself so that there is pretension in the band before you perform the movement. Press your hands forward, and resist spine rotation during the movement back and forth. Similar to exercise above- Put the band attached to an anchor point by your side at ground level. 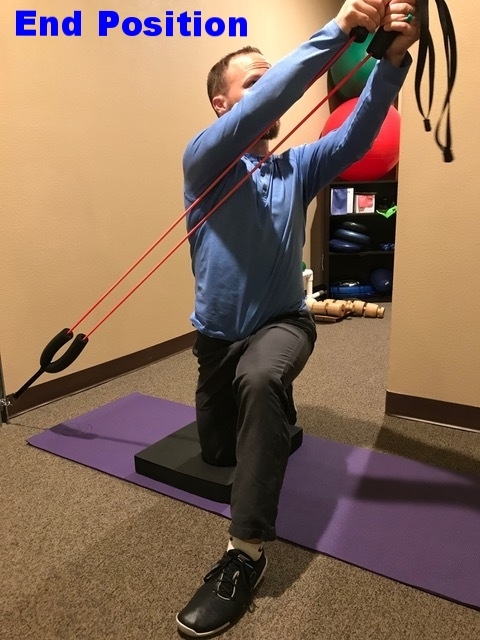 Pull the band up in an arc (think of mimicking the motion of tossing an object up towards opposite shoulder).